In 1953, forty-one road engineers and public works officials gathered in Frederick, Maryland to form an organization that would raise the technical standards of public service by exchanging ideas and discussing shared problems in county engineering. 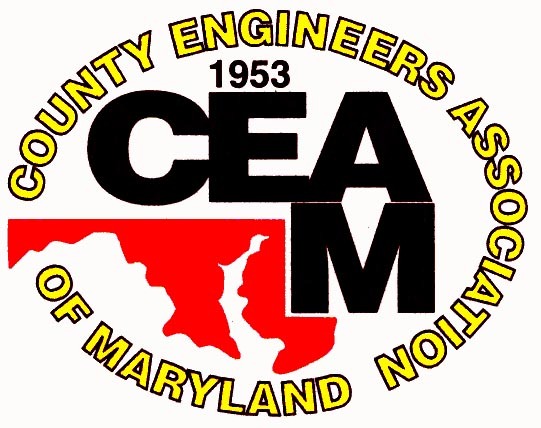 That organization became known as the County Engineers Association of Maryland (CEAM). Under the aegis of the first president, Roger Willard, the Association grew, prospered, and expanded its horizons. Although much has changed since then - the membership now includes almost six hundred County, State, Municipal, and consulting engineers, as well as public works personnel, contractors, and suppliers - the basic principles have not altered. Today CEAM provides a forum for new ideas and is an advocate for the infrastructure needs of the entire state. It is the collective voice of those who are responsible for the basic services of government and whose jobs affect the health and safety of every citizen. The Association promotes professional education and an adherence to the highest standards of engineering, construction, management, and public policy. It maintains an active presence in the State capital, placing its public trust above all considerations, whether partisan or monetary. But the Association is more than just another advocacy group with an agenda. The County Engineers seek to set an example to their professional community and they work to instill confidence with the public. They strive for permanence and stability, not only in the roads, bridges, and facilities they design and build, but in the professional tradition they have established across the state, today embodied by the women and men who are the legacy of the organization. With an eye to the future, CEAM fosters the free flow of technical information, promotes educational programs and training, and supports an extensive scholarship program that will help supply the next generation of engineers. The general membership meets twice a year. CEAM holds the election of officers and board of directors in the Spring. The Spring Annual Meeting location rotates within the various Maryland counties in April or May. The Fall membership meeting is usually held in Ocean City in September. The Board meetings are held at 11:00 AM on the fourth Thursday of each month normally at the MACO office in Annapolis.